Tim Bolen from CHCH visited Pondview to chat with Brent Livingstone about holiday gift giving of Niagara wine. Wine Delivered... for the Enthusiast on your List! For your favourite wine lovers, Brent suggests a membership to No Fees, Just Wine - Wine Club makes it very easy for you. Because that's the way our delicious Niagara wine should be enjoyed. With no membership fees and no shipping fees within Ontario, it's a fabulous gift. With our beautiful gift packaging, you can assemble a gift of wine customized for friends, family or business associates. 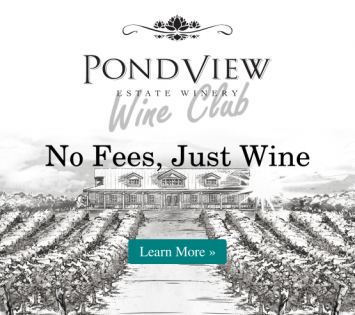 In addition to one or more bottles of PondView wine, your custom package can include chocolate, hot chocolate, cheese charcuterie, organic honey or even wine accessories. If you'd like a bit of helping putting together the perfect gift, we'd be more than happy to help. Call us at (905) 468-0777 or send an email through the form below and we'll be in touch!